You will probably notice in the last year or so of IEM reviews on Headfonics that I have been constantly comparing to a set of IEM’s called the Answer by Dita. I believe 11 reviews in total over the last 18 months. I figured it was about time they step out from being the bridesmaid to being the bride itself and get its own review. In fact not just one unit but two units because the Answer also comes in a”Truth” Edition with a reworked exclusive cable from no less than the illustrious cable experts, Van Den Hul. The regular Answer edition is priced at $649 and The Truth edition is priced at a more eye watering $999. 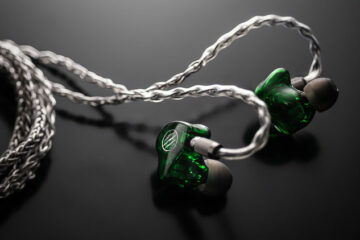 That is IE800 and Campfire Lyra territory right there and yes both are sporting single dynamic driver designs over multi BA designs much like both aforementioned competing IEM’s. In truth the major difference between both of them is the cable. 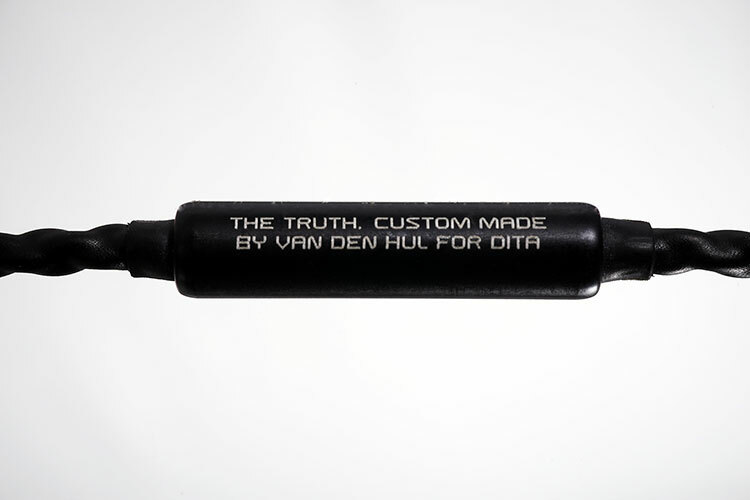 The ‘Truth’ in the Truth Edition actually is the name of the cable designed by Van Den Hul. Both driver designs and shells are the same Answer IEM. In today’s aftermarket cable arena, $350 is not an unheard of price for a good quality cable, but for those on the fence about what the difference a cable brings to the table it could well be more fuel to the fire if you have not heard them side by side. Even then it’s an entirely subjective stance so you may find the $350 jack up a bit too rich for the wallet. Both editions come in virtually the same packaging but this is probably one of the best IEM retail packages I have yet to come across outside of customs. The packaging is really stylish and not just style over function, it also comes packed with plenty of accessories and one of the finest airline adaptors I have yet to try and use, and I have used it twice already. Dita really though this one out and if you want a marketing nudge to think premium this is how to do it. Inside you also get a wide range of tips in small medium and large single bore as well as a single pair of double flange tips which are my usual go to if available in the stock packaging. You also get a quarter jack adapter alongside the custom airline adapter and two rather nice carry cases. The first carry case is your typical elongated semi stiff pill type case for out and about and the second is a more executive type leather carry case which folds rather than zips much like a miniature Aurender Flow case. The poser in me wants to use the leather folding case at all times regardless. Aside from all that you get a small user manual and all of this is neatly laid out in a custom cut foam layer to maximise the initial wow factor when you open it all up. 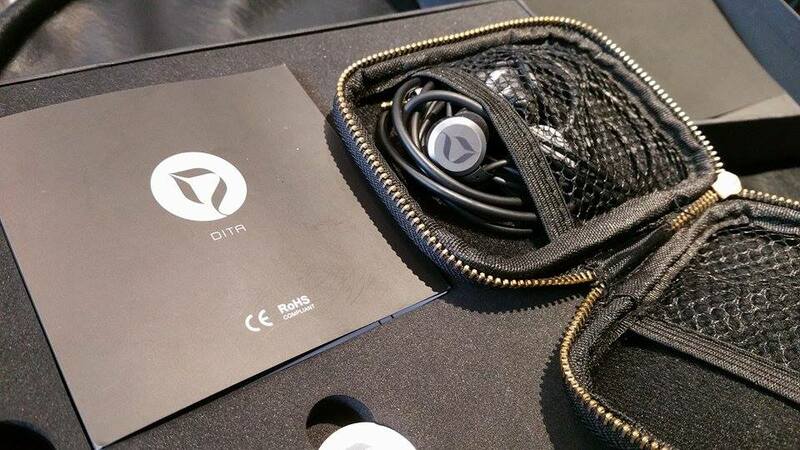 It’s quite masterful actually and not something I was expecting in an IEM package so well done Dita. Both the Answer and the Answer Truth Edition have a slightly more old school design than the Westone’s and Shure’s of this world but they are incredibly solid and well made. These are not run of the mill round type IEM chassis with a 10mm driver stuck in it; you can get that anywhere at a much cheaper price. Both these units are in fact hand crafted in house and designed in house and as such reflect a much higher standard of finish that I actually expected. Dita have machined these units from solid T6 aluminum blocks with no plastics to minimize unwanted colorations from the materials themselves during playback. Both have very clean lines, a quality raised logo created with a laser and chemical etching process on the front plate that is free of blemishes and with easily distinguishable left and right markings. Both are also heavier than normal shells so these are by no means lithe and discreet products like say a W60. The good news is they can take a bit of a beating and still perform 100%. I should know, I have dropped them on more than one occasion and our cat has tried to chew them up with no success. If they can pass the gravity and pet test then they get my vote. Both Dita’s in-house 10mm dynamic drivers that are designed specifically to be able to cover a very wide range of frequency as well as keep a decent speed by using light weight rigid or stiffened design. These are also drivers that Dita claim will match with any genre and run out of just about any source. A hefty claim indeed and once which you can read more about in our sound impressions but suffice to say at 16ohms and 102db it’s not the most sensitive of IEM’s I have tested before but it does pretty well out of a wide range of sources. This is where both units differ in terms of material and design. First the commonalities. Both the Answer and the Truth edition sport non detachable cables that are heavy duty in terms of weight. For those used to the EPIC Westone style cabling these are much more in your face and you will notice them in daily use. Both are designed for over ear use with excellent strain relief and both are terminated with top notch carbon fibre 3.5mm plugs that would not look out of place on aftermarket cables you would spend a pretty penny on. I would have loved to have seen these come in a detachable format but it seems the intent is to really listen to both sets as intended with the cables supplied and to minimize additional or ‘over’ engineering needed for detachable cables. As I write though Dita have stated that due to overwhelming demand they have decided to release the Truth as an after market replacement cable. They will be releasing the Truth replacement cables in the last quarter of 2015. It will be available in both 2 pin Westone and MMCX connectors. Though bigger than your average IEM 3.5mm jack, they are indeed durable looking and lighter than you might initially think. They are straight plugs though so those preferring right angle small profile plugs might have some challenges if stacking with some of the smaller portable amps out there today such as the PHA-1 or Vorzamp Duo. These are reasonably pliant cables and easy to hook round your ear and move around in general though my preference is for the Truth edition cable which just feels less “energetic” and easier to tame than the stock cable of the original Answer. I had to laugh when I heard Dita called the stock cable “the fat cable” – never a truer word said, it’s unashamedly fat. Of course the big difference is the Truth edition cable itself. 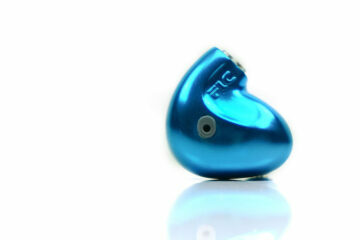 Designed by Van Den Hul, it is beautiful, stylish, and reasonably easy to work with as an IEM cable. It does however feel a bit stiffer than the fat cable but it is indeed very robust, durable and can take a beating. I rank it up there with the SXC24 or 8 IEM cables in “physical presence”. It also sports a clever little touch with a cut away sleeve cover allowing you to see inside the coated sleeve to the actual cable being used in a safe manner. The logo emblazoned splitter is quite large but its chin tightener is actually part of the splitter and breaks away from an almost seamless design which is a nice touch also. Both are unique and rather cool if you ask me. It’s the difference maker and the reason why you are paying $350 more than the regular edition. You will not get this cable anywhere else on the market. Being a universal IEM the fit and seal is about 80% of that of one my better fitting customs but on par for a universal. The weight and cable did play a small role in acquiring a sweet spot particularly with the single bore tips which didn’t quite match my ear leaving a lack of depth and a fear they simply wouldn’t stay in. Of course your fitting experience may differ to mine but I did find a better level of comfort, depth and seal with the double flange tips over the single bores. Note that both Dita’s come with 3 types of bores in small medium and large. The concept here is that the width of the bore opening would determine the emphasis on the frequency range with the smallest for treble performance and the widest or biggest for a greater soundstage or sense of space/air. Personally I liked the medium bore tips or the reference tip which seemed the most balanced of the three but over the long term, or the last 18 months I have really been stuck on the flange tips. It is a pretty old earphone now. How is it compared to multiple BA drivers like k10? Are they at the same level? how does these compared to Flare Audio R2 Pro? Unfortunately I dont have a pair of Flares to be able to tell you, Mike does and Mike does not have any Ditas. One of the perils of multiple writers.